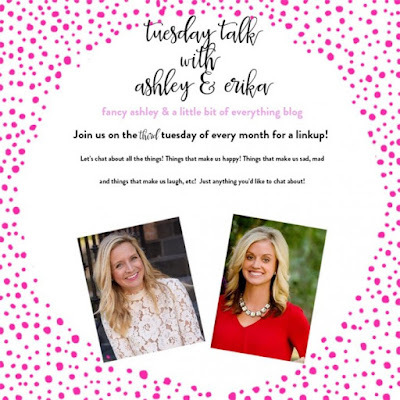 Sooooo excited to link up with Andrea for this Show & Tell Tuesday! We are sharing Christmas decorations throughout the house. 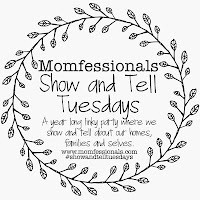 If you missed my last Show & Tell Tuesday you can catch up here. 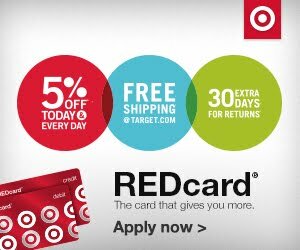 We shared some great gift ideas for him & her! 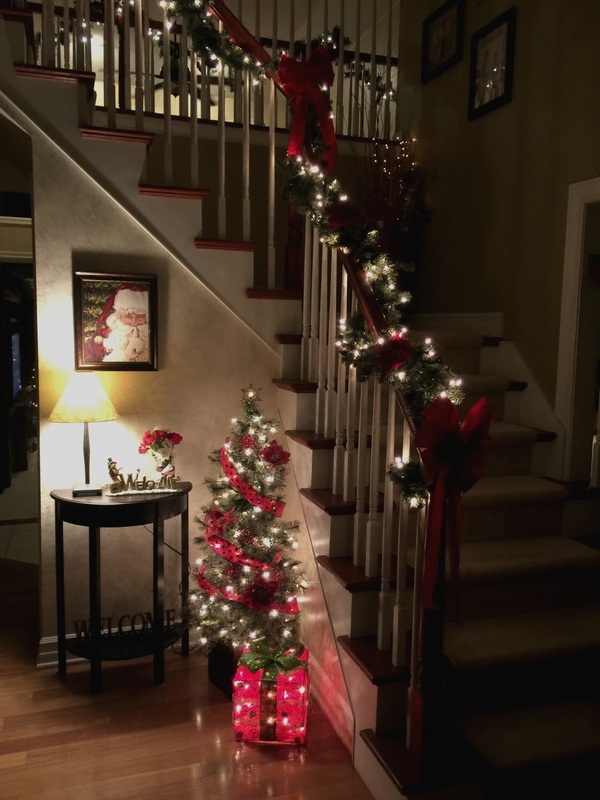 I love decorating for Christmas and am excited to link up for a peek inside other houses too! Here goes a festive picture overload!!! The front of our house....not a huge fan of a ton of decor out here. 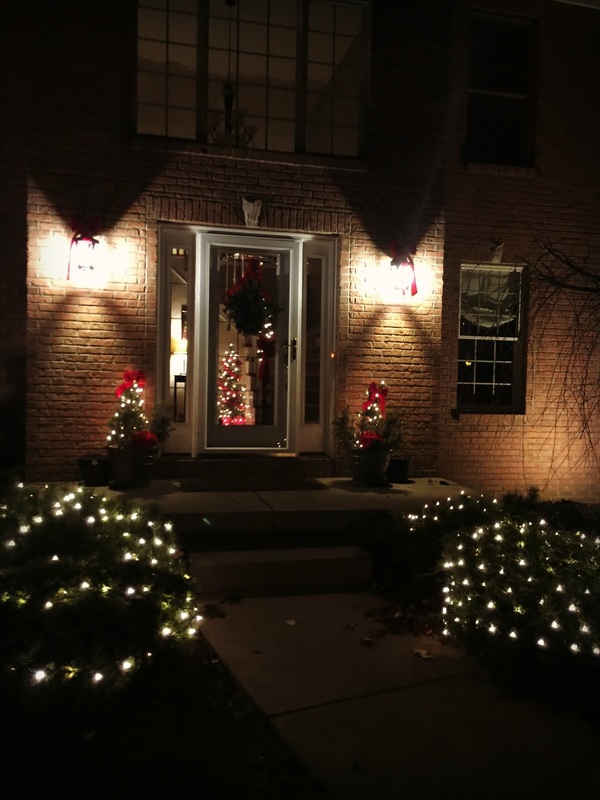 We keep it pretty simple...plus the weather can get intense and there is not much protection for decorations. Our foyer... probably my favorite spot.....I love that you can see it all from the outside the front door. Our tree. A fun collection of ornaments that tell our family's story. You can read about our ornament traditions in our Christmas Bucket List here. We have a large entertainment center with tall ceilings... I try to add some height to the top with skis & Santa. I fill the sides with pieces I have collected over the years...I love snowmen! Tables in our family room... I change them up each year. And we always bring out our basket of Christmas books! The kids get so excited to read them each year...they forget about them and are so happy when they see that basket come out! A few things to make our downstairs bathroom more festive! One of my favorite spots in the kitchen is our Hot Cocoa Bar! We use it for all our holiday parties! My dining room is not done yet... it is in gingerbread party mode, but I will share some pics next week after the party. This was the party 2 years ago. I use two different holiday dishes, and I must confess I love dishes. Seriously- dishes, serving platters... they are my thing.... I love them! Ha! Thanks for stopping by to check out our house this season! 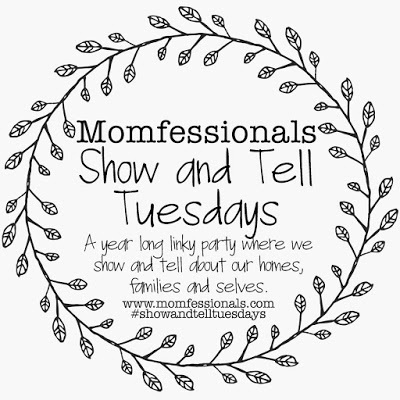 Our next Show & Tell Tuesday is in two weeks and we will be sharing Chistmas Eve traditions! Hope to see you tomorrow...sharing some stocking stuffer ideas....there's always room for one more at our family table. Love the garland and lights on the banister - so pretty! 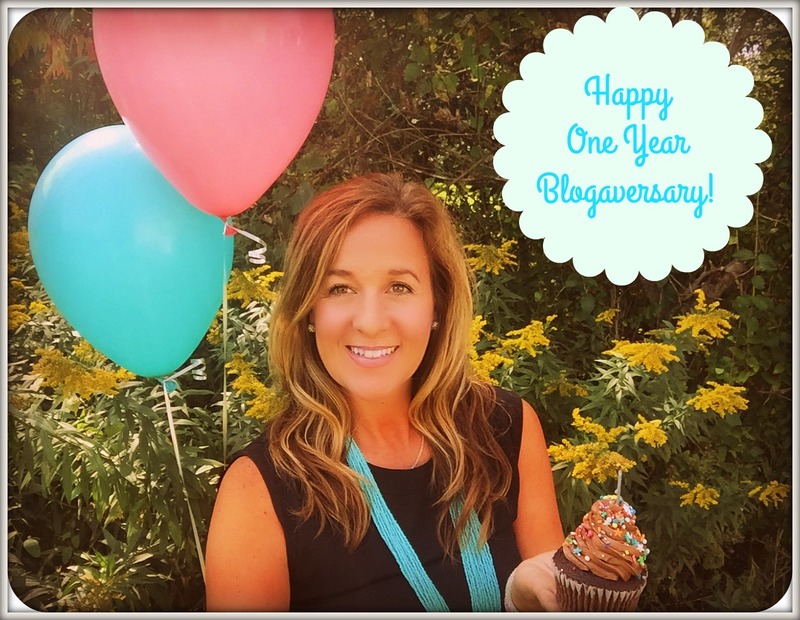 Love the decor:) From a fellow Genevieve!